It's a story that's been told many times...and its importance continues to ring true throughout the years. 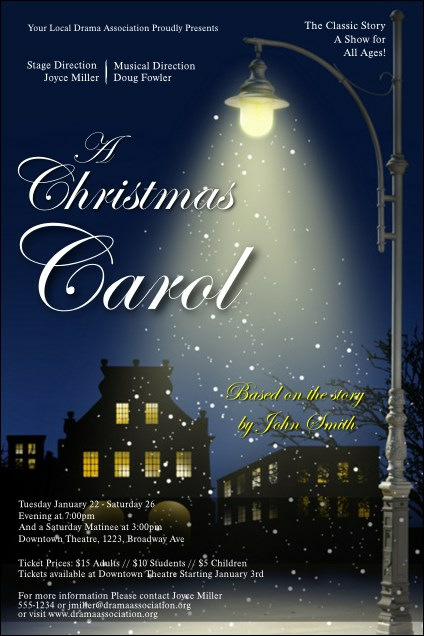 Celebrate kindness and giving when you post A Christmas Carol Poster before your performance. A dark blue, snowy night sky covers a peaceful village in this classic template. Promote your performances with the right poster from TicketRiver.com.au.